White Industries says:The CLD, Center Lock Disc, is a splined disc interface this has allowed us to make our lightest disc hub to date without sacrificing any durability. The CLD hubset is compatible with all Shimano center lock discs including the Ice 140mm rotors. The CLD comes in a low spoke count of 24h and available in hole drilling sizes up to 36h accommodating most rims. Compatible with multiple front axle types such as QR, 12mm thru or 15mm thru and compatible with QR or 12x142mm rear axle types. The ease of removing and reinstalling the disc rotor along with the other benefits center lock disc brake systems offer to the rider makes this hubset perfect for your next road, cyclocross, or mountain disc bike. Melody says: White Industries hubs are defined by their incredible durability. 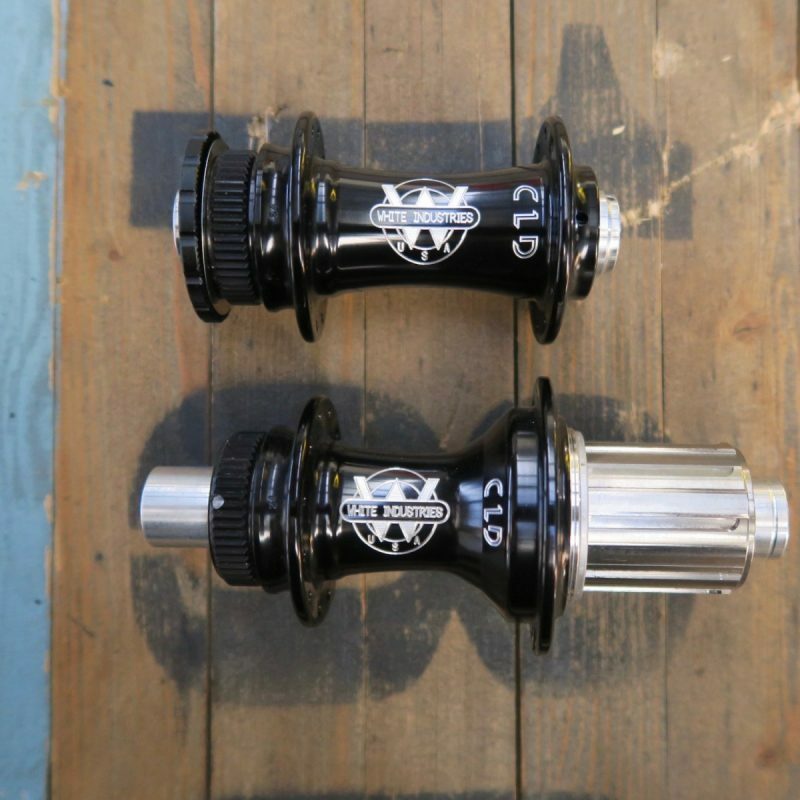 The CLD is a versatile hub that can be modified to fit almost any axle standard. Road, cyclocross, bike packing/adventure cycling, and mountain biking, whatever your fancy, the CLD is a great addition to any custom wheelset.